GPS - Pegleg and Blister Creek Falls, 630 meter el. Pegleg & Blister Creek Falls are south of Mt. Hood. 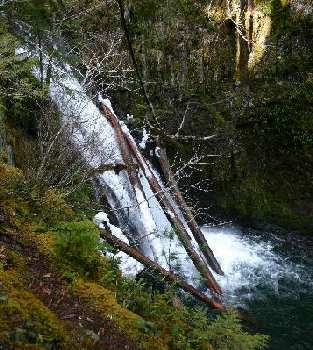 Day use area for Pegleg Falls is closed in winter. Just before reaching the entrance for Pegleg Falls you cross a bridge. Walk over to the bridge and look through the foliage for Blister Creek Falls. 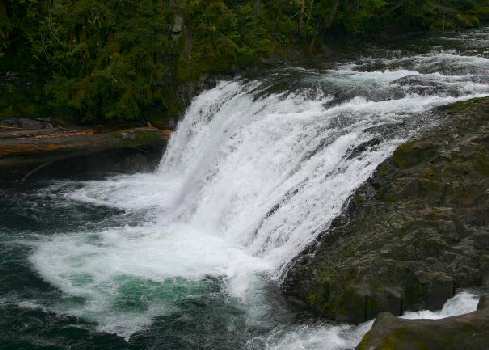 Closer views are possible by traversing a minor trail up to the falls.